Page view compliments of Sinsational Smile, Inc.
Sinsational Smile is a fast, easy, comfortable, and affordable in-office whitening system that utilizes patented pre-filled trays and an LED light. 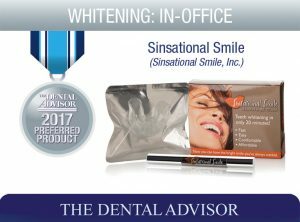 Founded in 2006 Sinsational Smile is the first whitening system that recommends whitening treatments in conjunction with each six-month prophy. The system is intended to provide a realistic 2-5 shade change in 20 minutes. Sinsational Smile’s pre-filled trays contain 22% or 25% carbamide peroxide gel in a mint flavor. The proprietary gel also includes organic menthol as a natural desensitizer. Sinsational Smile is the 1st and Only Green Certified Whitening System in the country. Sinsational Smile has a one-minute prep time and requires no isolation of soft tissue other than vitamin E to moisturize lips. The system also provides patients with complimentary take-home whitening “pen” for maintenance (good for 60 applications). Each kit contains one pre-loaded dual-arch tray, take-home whitening pen and two vitamin E swabs. The LED light is a wheeled unit with a gooseneck-style arm and arch-shaped light head. The control panel allows selection of preset times. Sinsational Smile was evaluated by seven consultants performing 67 whitening procedures. This in-office whitening system received a 91% clinical rating. 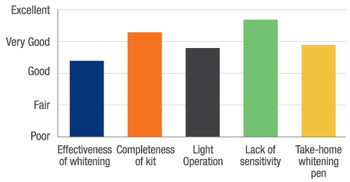 Sinsational Smile was evaluated to be one of the most time-efficient in-office whitening systems consultants had evaluated. 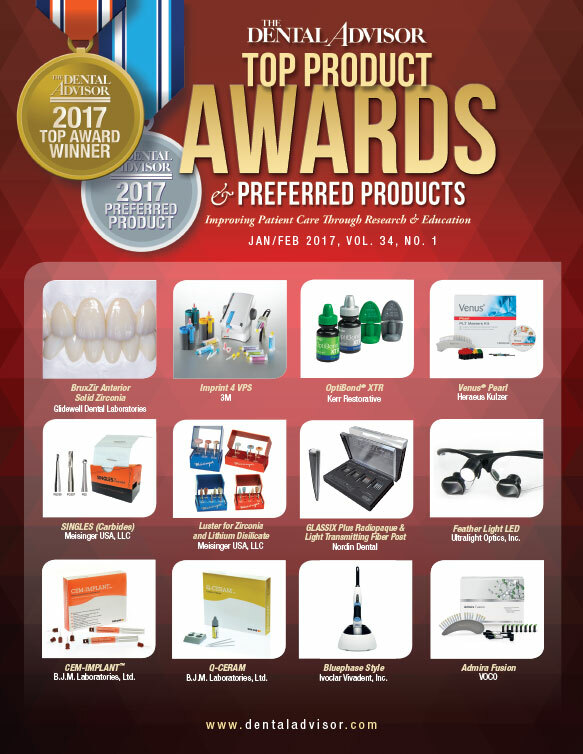 Time savings came from not having to place block-out dam on the gingiva, apply bleach to individual teeth or make custom trays for the take-home component of the system. The one-size fits all silicone trays were comfortable to patients and had a very good fit. Consultants noticed that the best whitening results were obtained when the tray was pressed against the facial surfaces of the teeth to evenly distribute the gel. Little to no sensitivity was reported during or after the whitening procedures. Store whitening kits upright in a refrigerator. Remove from refrigerator one hour before use (tray must be at room temperature prior to use). Place light ¼ inch from tray and keep patient upright at 90 degrees. Ensure the patient places the tray in their mouth gently with the gel mostly in the front of the teeth.